Please take the time to read through our terms and conditions prior to admitting your cat to our facility. These are for the benefit of your pet and guests. Feel free to ask questions or take a guided tour through the cattery. Purrfurred Cattery will take every effort to make your cat’s stay a happy one and we will look after their health and safety while you are away. All cats are boarded entirely at their owner’s risk. We reserve the right to refuse admission at any time without giving reason. Cats are only accepted with up-to-date vaccination records. A copy of these must be presented on or before arrival. Cats must be vaccinated against Feline Panleucopaenia “enteritis” Rhinotracheitis (Feline Herpesvirus) and Feline calicivirus (snuffles) and be free from parasites. The vaccine must have been done not more than a year before boarding, and not less than 10 days before admission. 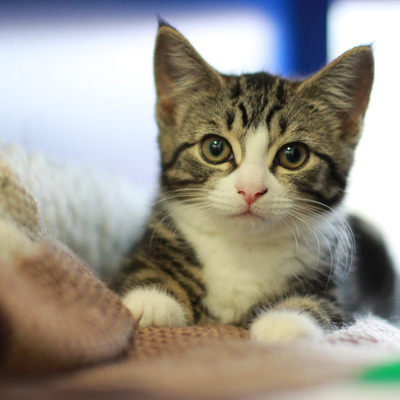 If the vaccination is due within one month of admission to the Cattery, a booster vaccination may be required before admission. All cats should be treated for worms and fleas prior to boarding. Any cat found to have fleas or worms after admission will be treated by us and the cost of treatment will be added to the boarding fees. Please do not use a flea collar but a reputable product such as Frontline, Advantage, Broadline or Revolution only. We regret that we will not be able to accept un-neutered male cats over the age of eight months. You must transport your cat in a suitable secure pet carrier. Do not carry your cat in your arms or any old box. They are very unpredictable and easily spooked so may run off at any given time. All cats will be examined upon arrival and are accepted into our care on the understanding that they are in good health, and that any health problems are communicated to us prior to admittance, so that we may make an informed decision as to the suitability of the cat for boarding. We reserve the right to refuse admission to any cat appearing to be unwell or thought to be suffering from any illness or infectious disease. Please notify Purrfurred Cattery of any problems or undesirable behaviours your pet may have due to previous experiences. Cats cannot be released to anyone other than their owners without prior notification. All cats must be dropped off and collected during our normal opening hours. During the Festive & New Year period there is no drop off or collection on the 25th December and the 1st January. Full Payment is required when collecting your cat. We require full access to your cat’s medical records if we are concerned about any aspect of their health, or to check vaccinations. Purrfurred Cattery takes every precaution to ensure the health, safety and happiness of your cats. We will take immediate action if a cat appears unwell either by consulting Auckland Veterinary Centre in Takanini or by phoning your own vet for advice. Any expenses incurred will be paid by the cat’s owner. You must make Purrfurred Cattery aware of any existing medical conditions your cat may have. Any medication that requires to be administered during your cat’s stay must be written down clearly. Purrfurred Cattery accepts no liability for the storage of medication. If in the unfortunate and sad event that the cat should die whilst staying at Purrfurred Cattery the owner or owners contact person will be notified. The cat (unless otherwise instructed by the owners) will be taken to Auckland Veterinary Centre in Takanini for the appropriate safe storage until the owners return. If your cat has an existing medical condition, any medical or special dietary needs, they should be declared or supplied with clear written instructions. Any change of diets must be notified at least (if possible) seven days before arrival day. There are NO extra charges for heating and NO add-on fees for the administering of tablets, ear drops, injections, etc. Neither Purrfurred Cattery, nor its owners, employees or agents, shall be responsible for any consequences of the administration of any medication whether:- It is administered in accordance with owner’s instructions or as instructed by the instructions of any Veterinary Surgeon;- Your cat has been administered with an incorrect dosage of medication;Any act of omission on our part causes any adverse consequences to your cat. We feed the Royal Canin range of dry cat food. A selection of wet food is served in the evenings. Should you wish your cat to receive a special or veterinary prescribed diet food, this must be provided by the owner. We provide beds, blankets and toys for cats. Should you wish to bring you own bedding this must be in a clean condition. Any bedding, toys and other comfort items are all left at your own risk. Naming items is helpful but unclaimed lost property for more than 20 days will be considered property of Purrfurred Cattery. Any cancellations or changes must be made at least 7 days before date of arrival and confirmed in writing or by e-mail. For reservations over the busy Christmas/New Year period we require a 50% non-refundable deposit to confirm and secure your booking. The remainder to be paid on pick up. Due to high demand, particularly during peak holiday times, we reserve the right to charge for the full period of booking if you drop off later or pick up earlier than the booked dates. If you find you need to cancel your booking, at least 10 days’ notice will be required or the deposit will be non-refundable during peak holiday times. For long term boarding (21 days or more), 50% deposit and interim payments are to be agreed at the time of booking. Non-cancelled bookings will be liable for full payment. Purrfurred Cattery reserve the right to hold the cat until full payment is received and the extra days will be chargeable at the normal rate. Payment is required in full before your cat leaves the premises. Purrfurred Cattery currently accepts cash, internet banking and debit cards as methods of payment. Unpaid accounts will be liable for interest and collection costs. If in the event of a cancellation of a confirmed booking (in part or full period) the full charge will be due if less than two days-notice is given prior to the start of boarding. You may be able to recover this charge through your holiday cancellation insurance where applicable. If you decide to pick up your cat earlier than the planned date of collection you will be charged for the full duration of the booking. Animals left at the Cattery for 14 days in excess of their planned departure date without any contact from their owner or representative will be classed as abandoned and removed from the premises to an official establishment for this purpose. Any outstanding boarding fees will be pursued in full. Purrfurred Cattery will occasionally take pictures of the Cattery and our guests to use for promotional purposes and to update you on how your cats are getting on. Purrfurred Cattery reserves the right in perpetuity to use these images without cost. These images may be published online on our website or via social media sites or in print. Purrfurred Cattery cannot be held responsible for any loss or damage to vehicles or property, howsoever caused, whilst on the premises.